Museum-lovers will appreciate Hall of Fame and Stok Palace Museum. Head to Pashmina House and Tibetan Marketfor some retail therapy. 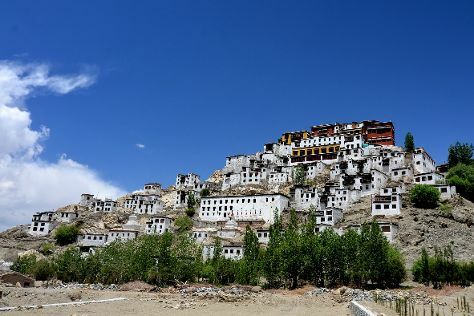 Explore Leh's surroundings by going to Alchi Monastary (in Alchi) and Hemis Monastery (in Hemis). Next up on the itinerary: contemplate in the serene atmosphere at Thiksey Monastery, capture your vacation like a pro with an inspiring photography tour, don't miss a visit to Confluence of the Indus and Zanskar Rivers, and explore the galleries of The Little Paradise. To find ratings, photos, and other tourist information, read our Leh trip itinerary maker website . Bagdogra to Leh is an approximately 8.5-hour flight. You can also drive. Wrap up your sightseeing by early afternoon on the 6th (Fri) to allow enough time to travel back home.